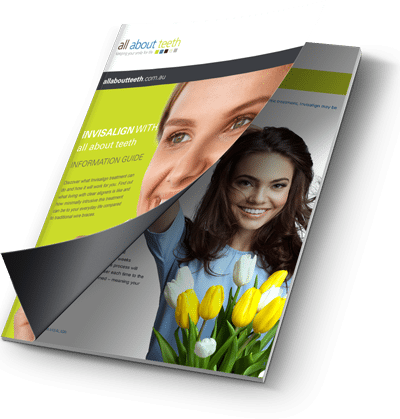 The hot topic in the world of orthodontics is Invisalign. Gaining fame for its discrete appearance and convenient, removable option, more patients, who tend to be mostly adults, are opting for Invisalign as a trusted and accepted method of getting the smile they have always dreamed of – without compromising on their appearance. 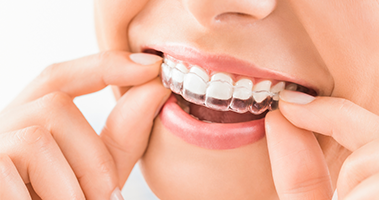 Made out of plastic, Invisalign aligners aim to correct alignment and improve the bite of patients who have mild to moderate dental problems. The treatment makes use of a series of aligners which are replaced every two weeks and should be worn for at least 22 hours a day to see the desired results. Unlike traditional braces, Invisalign aligners are removable, making them easy to clean. Another plus is that those who would like to enjoy a meal without metal wires getting in the way, are able to do so. This treatment would see hardly any dietary restrictions. No one particularly likes the look of a mouth full of metal. Invisalign aligners are generally difficult to detect and allows for you to show off more of your teeth – making smiling easier. Braces tends to dim one’s confidence, as the wires are hard to miss. Invisalign aligners blend in easily with your teeth and allow you to go about your business without feeling self-conscious. When wearing braces, there is an increased risk of dental emergencies that can come from breaking a wire, for example. This will not be the case with Invisalign aligners. Some tend to grind their teeth when they are stressed, angry or asleep. This is a habit that could cause extensive wear on your teeth overtime. Invisalign aligners act as a barrier between your teeth and help to reduce the damage of grinding. Since the aligners do come out, it’s easier to have your teeth cleaned every six months. You also do not have to worry about the discomfort that comes with having to have your braces wires tightened after every dentist visit. Before the procedure, you will have a step by step plan that is specifically designed to address your problems. You will also be able to see a 3D image of your expected results at the end of your treatment plan. To find out more about Invisalign, contact us today.